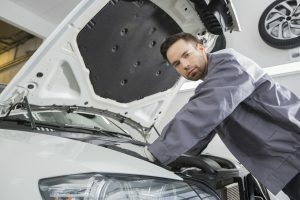 Whether your car is second hand, brand new, or a well-maintained and trusted family vehicle, you’re likely to experience engine trouble at some point over the life of your car ownership. Prevention is always better than cure. But over time, engines break down due to use. Watch out for engine trouble and take care of it as soon as you can. The lights on your dashboard are there for a reason. They are your car’s way of telling that there’s something wrong. The check engine light is one of the most common indicators. It lights up whenever the car’s computer detects a problem. It may be something as simple as a loose fuel cap. But at other times it could be something more significant like your spark plug needs replacing. Don’t dismiss the light, and get to the bottom of its cause before it’s too late. Does your car make an unusual noise while you drive? It might be a sign that the engine is almost at its end. You need to get it to your mechanic as soon as possible or risk breaking down in the middle of the highway. There are many causes to the noise. But the most common is wear and tear on the pistons and other mechanical parts. Engines are large and full of moving parts, so it’s only reasonable to have parts worn down over time. Oil patches are a hassle to clean up. So, if you start noticing these puddles whenever your car’s parked, you can be sure that your engine leaks. If left untreated, the oil can get to parts of the engine it doesn’t belong and cause damage. Not to mention the friction as parts rub together without proper lubrication. Get the leak fixed as soon as possible to prevent further damage. Your car’s exhaust stays outside. 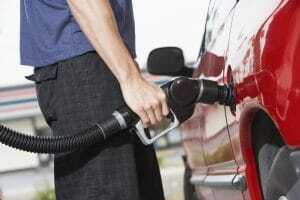 If you begin to notice that there are strange smells in your car, then your engine is likely damaged. These odours are not going away on their own. Have a professional check the issue to fix it. When the check engine light coincides with increased fuel use, then you can be sure that something is wrong. Thus, why it’s using up more than usual. Dark blue– the engine is burning oil, due to damaged or worn out parts. Some of these signs are worst than others. But that doesn’t mean you should ignore them. Watch out for these signs, and try to resolve issues as soon as you can. That way, you won’t have to address expensive repairs down the line. If you’re in the market for a reliable vehicle that can get you where you need to go, then consider a car leasing option in Australia. Enjoy a low initial payment and customisable payment options. It’s the perfect setup for those who need a car and rebuilds their credit in the process. in "Bad Credit , Car Maintenance , Car Tips"